Possibly the best brushes you could own! If you follow me on Instagram and take a look at the most recent photos I have posted of my work you will realise a difference in my application of Make-up and that's because of these brushes. On Instagram people are always asking "what foundation, what concealer?!" or "what contour?" it's not always about the products it's more about how you choose to use them and what tools you use with the products. Amazing quality and they look pretty too! 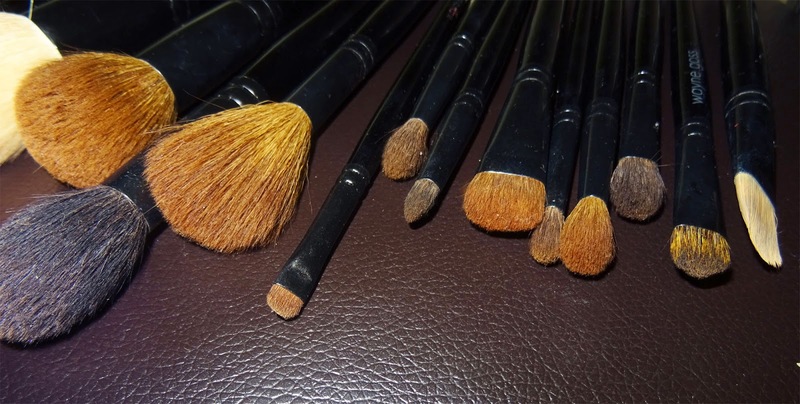 My favourite have been the eyeshadow brushes, you can tell how much effort has been put into designing each brush, so precise, the hairs are soft and they blend your shadows together beautifully. My favourite one from the smaller brushes is the brush 08 - it's tiny and it's SO good for precision, I use it to get eyeshadow closest to the bottom lash line, to tight line and to fill in eyebrows and create those natural looking "hairs" with brow powder. Taped and marked the brushes so they don't get mixed with others! Everyone asks me about contour! I have started to use a powder only and the most light-weight brush for this is brush 14, it's so light, feathery, gives the most natural contour hollow without the harsh obvious line, fits right into the hollows of the cheeks, it doesn't make the foundation or concealer move at all because of the way it has been created - the shape and length of the brush hairs. 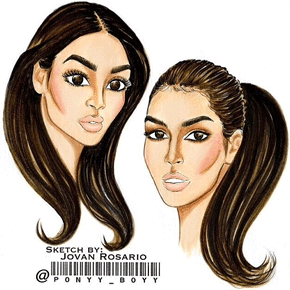 I love the simplicity of these brushes, the way they are not only for make-up artists. They make applying make-up so much easier and I did my own research on these to find they are 100% cruelty free, natural hair bristles (this is why they are SO soft and feel like heaven on the skin) and hand crafted! I love how he just didn't get any old brushes made and stuck his name on them, you can tell that there was a lot of thought gone in to this, he is an artist and you can tell from using his brushes. I've always used a mixture of brushes and recently I have found myself picking at them only. 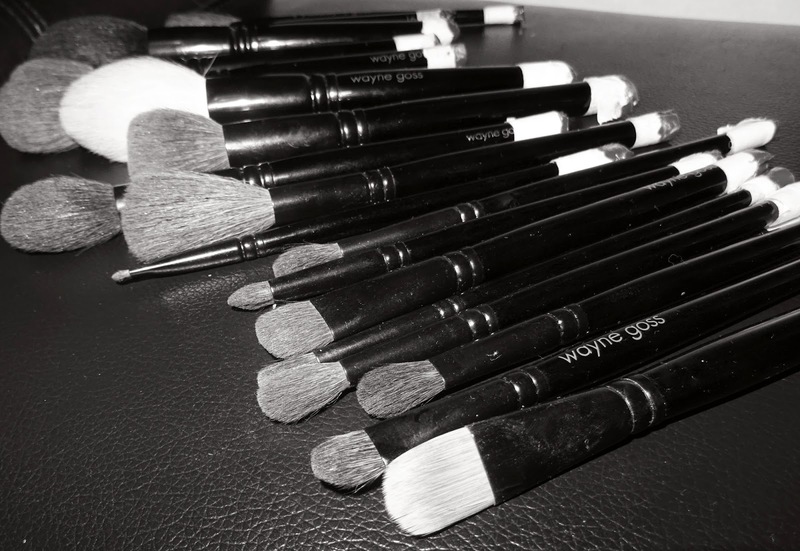 They look so good on your vanity, in your brush belt and I LOVE taking them out on shoots. I use brush 20 to smoke out colours on the lash line, brush 15 to apply powder highlight, the white holiday brush to dust face powder and bronzer lightly. The brushes pick up the right amount of product, especially when you are lightly dusting some loose powder to set your makeup. This blog post is my own opinion.